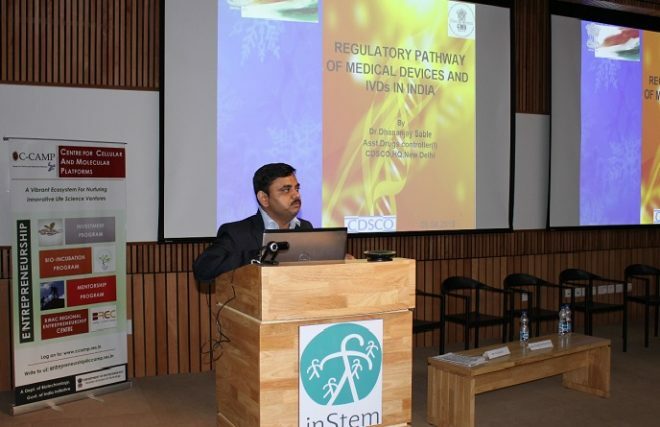 Bengaluru: The Department of Biotechnology (DBT) and Central Drugs Standard Control Organisation (CDSCO) along with Biotechnology Industry Research Assistance Council (BIRAC) and Clinical Development Services Agency (CDSA) had organized one-day interactive program, “National workshop on regulatory compliance for accelerating innovations” on 9th April, 2019 with Centre for Cellular And Molecular Platforms (C-CAMP), Bengaluru. This was one of the six national programs planned across the nation. CDSA works closely with the Indian drug regulators (CDSCO) and innovators to facilitate the journey from ‘bench to bedside’ faster. C-CAMP is India’s premier innovation and technology hub as well as one of the largest life science incubators in the country. C-CAMP has funded, incubated and mentored over 110 start-ups over the last few years. Prime Minister had launched the Make in India initiative on September 25, 2014, with the primary goal of making India a global manufacturing hub. There are 25 sectors assigned in ‘Make in India’, biotechnology being one of them. This workshop was aimed to facilitate “Make in India” drive by helping the innovators by offering them an opportunity to interact with the regulators. The main theme was to resolve regulatory issues thereby facilitating market authorization wherever applicable. This series was planned as per one of the recommendations of the inter-ministerial meeting at the NITI Aayog. The workshop was attended by senior representatives from Government organizations, academia, medical device industry, in vitro diagnostics, new drugs, biopharma, phytopharma representing various start-ups, hospitals, institutes etc. There were total of 86 participants representing 80 institutions who attended this interactive meet. There were 17 faculties including senior experts, present and former regulators from CDSCO; BIS (Bureau of Indian Standards); CDSA, THSTI (Translational Health Science & Technology Institute); NABCB (National Accreditation Board for Certification Bodies), QCI (Quality Council of India) and NIB (National Institute of Biologicals). 12 CDSCO senior officers attended this program, which included Drugs Controller, Government of Karnataka; 2 Deputy Drugs Controller and 2 Assistant Drugs Controller. There were three major themes: medical devices, new drugs & phyto-pharma, and biopharma. The regulators addressed all questions asked by the participants. Biopharma was attended by 21, new drug and phytopharmaceuticals by 26 and medical devices and in vitro diagnostics by 39 participants respectively. 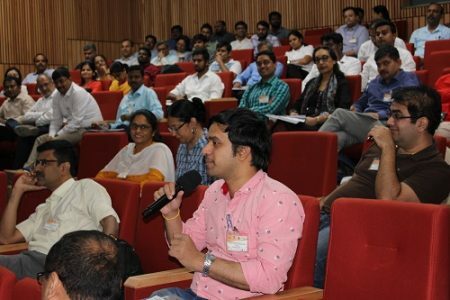 This was the third program in the national workshop series and the remaining three programs are envisaged at Hyderabad, Guwahati, and Vadodara in 2019. Such an attempt by various stakeholders to create facilitative platforms where innovators can meet regulators was hugely applauded by the attending participants.